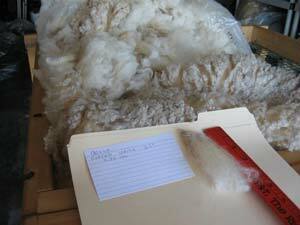 Emma is almost 8 years old and 100% Romney. Her fleece has a lovely soft crimp. 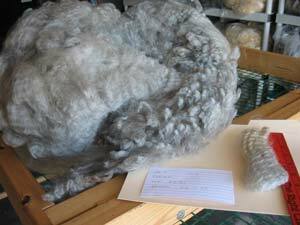 Incense is almost 4 years old and has a silvery grey fleece. She is 3/4 Romney and 1/4 mixed breeds. 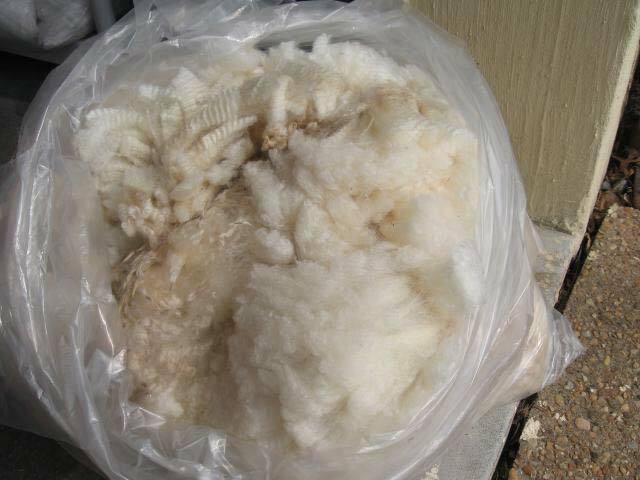 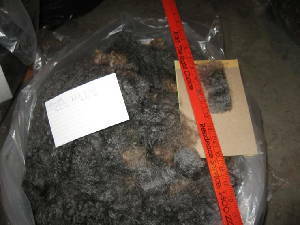 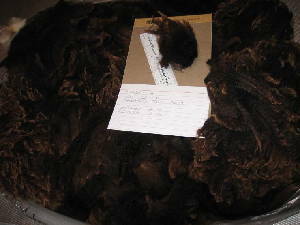 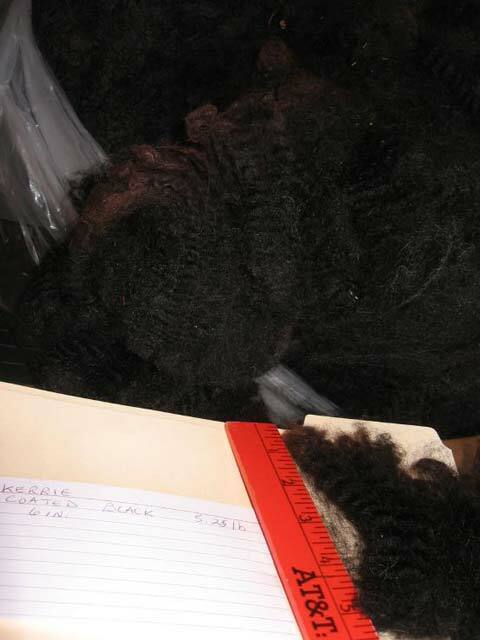 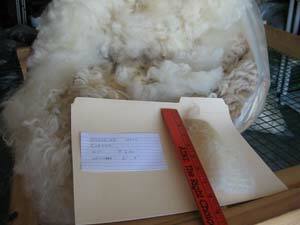 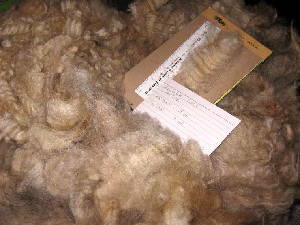 First's fleece (2010 - uncoated). 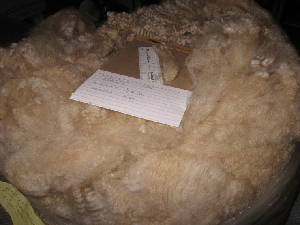 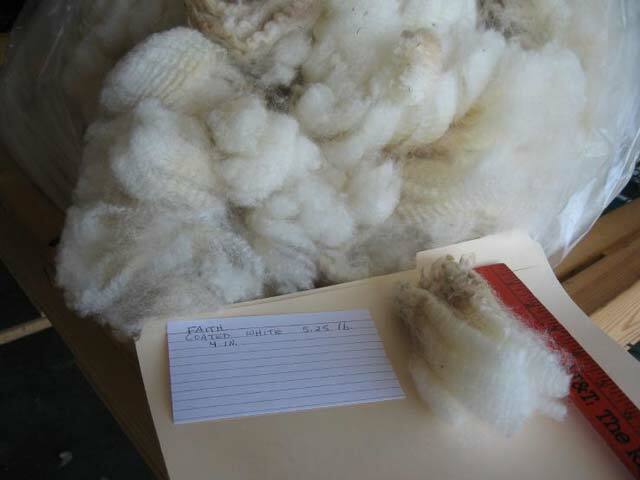 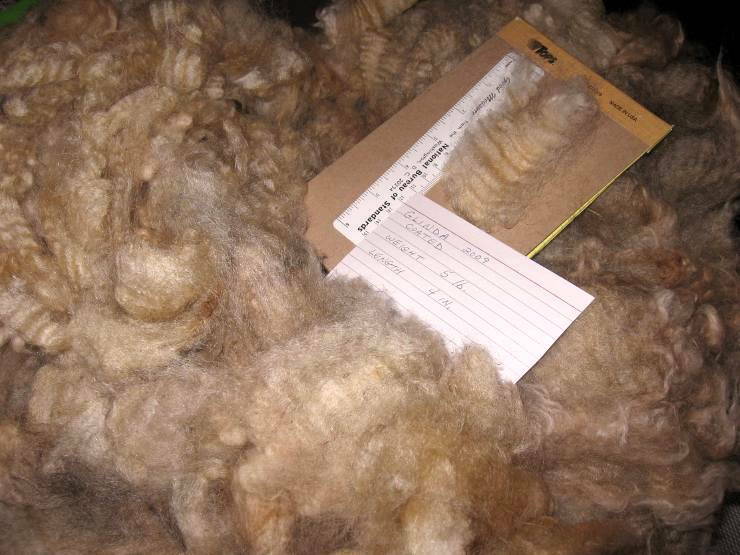 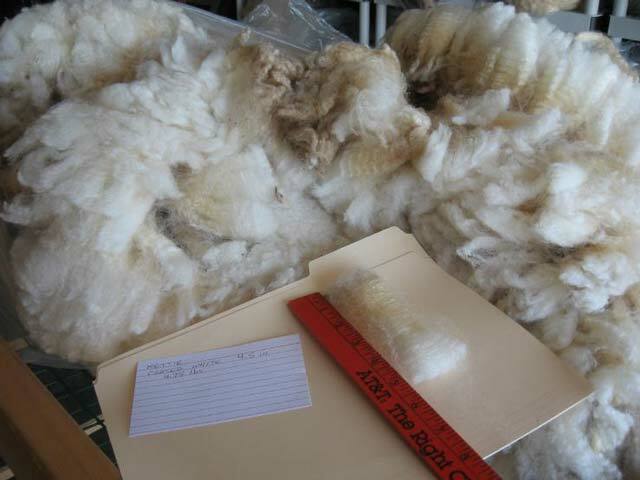 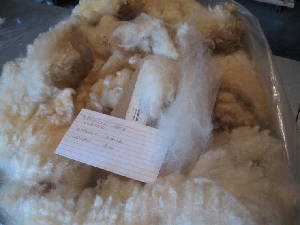 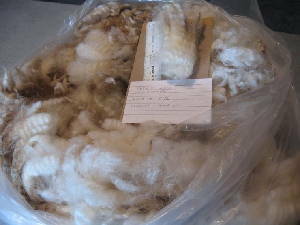 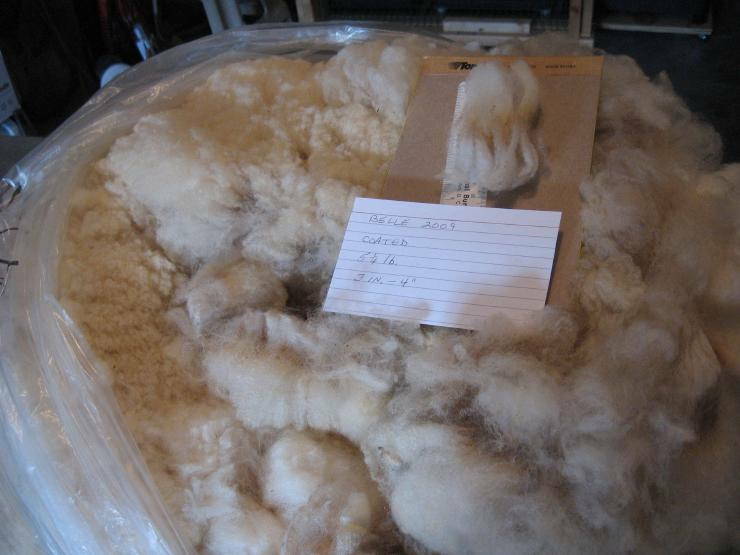 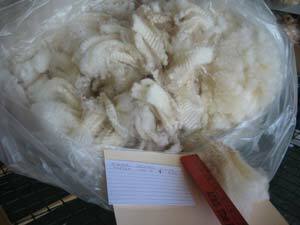 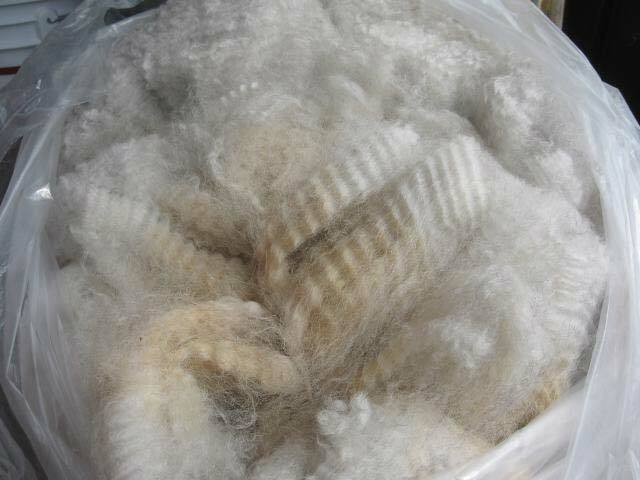 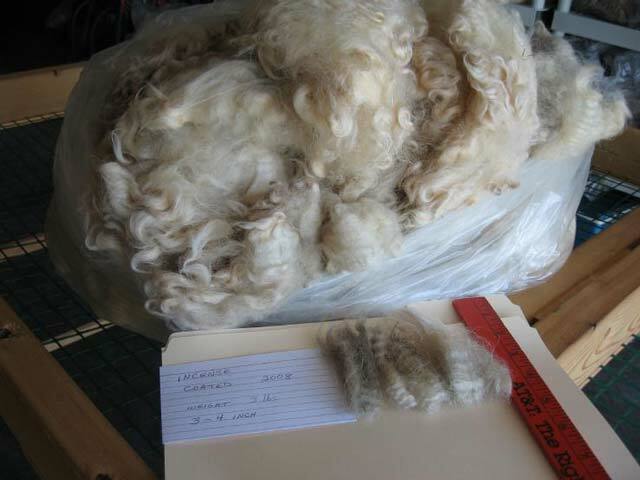 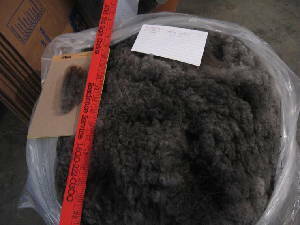 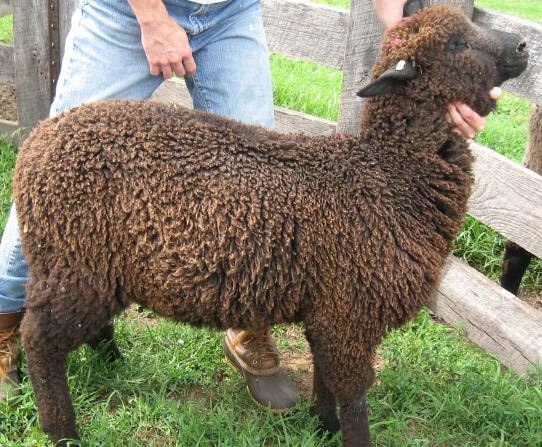 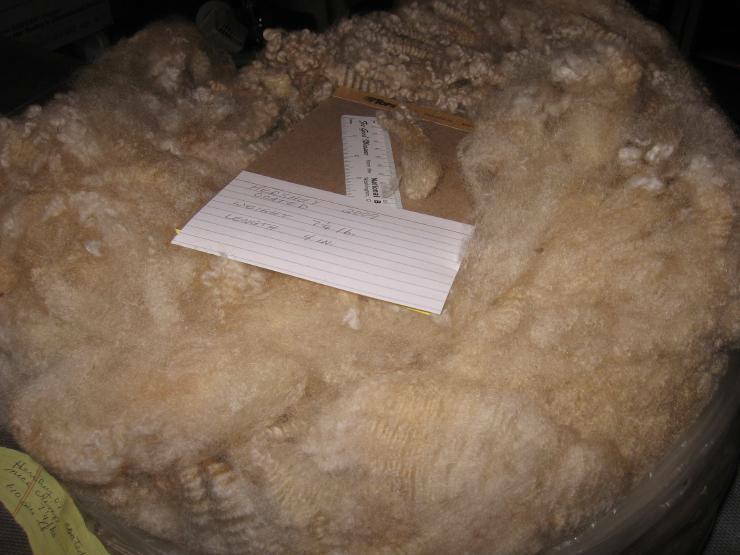 Loretta's fleece (Fall 2009 - uncoated, lamb).